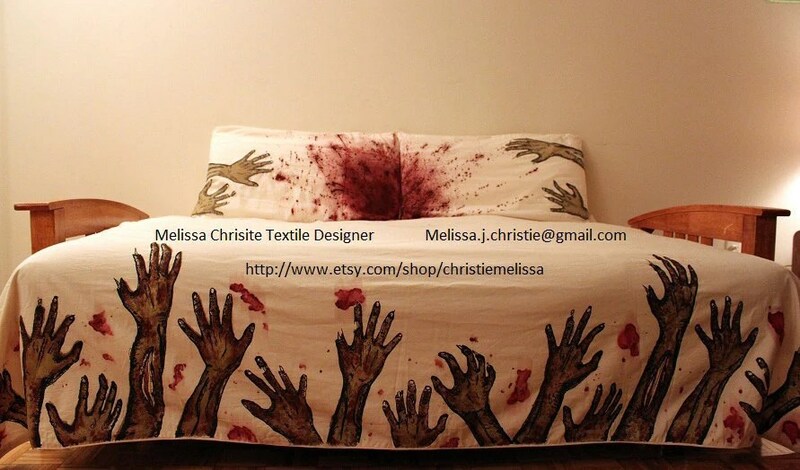 This ‘Never Sleep Alone’ bedset by textile designer and Etsy-extraordinair christiemelissa has me sheeting myself. Not literally, because as well as being bloody in the gore sense, they’re bloody expensive — shipping to the UK is £32 alone. But this undeadly design is rather lovely, don’t you think?